How to Save on Homeowner’s Insurance? For most people, owning a home is the biggest investment they will ever make. To protect this investment, you need to carry homeowner’s insurance. That’s a given. The trick is determining how much homeowner’s coverage you need. Get it right, and you’ll be covered for unexpected crises that wind, weather, and happenstance can throw at you. Get it wrong, and you can be left holding the bag if something happens to your home. Nobody wants to pay more than they should for anything, including homeowner’s insurance. Of course, nobody wants to find out after a catastrophe that the damage done to their home isn’t covered under their current policy. To help you determine the optimum level of coverage you need, today I will give you some food for thought when it comes to your homeowner’s policy. 1. Pay annually instead of monthly – While paying your premiums on a monthly basis is convenient, it also costs you more, since finance charges are built-in. Paying off your annual premium in advance can represent a significant saving. 2. Increase your deductible – Another way to reduce the cost of your policy is to increase the deductible. If your deductible is $200, by increasing it to $500 or $1,000, you will save money. Some insurance providers will even let you take a deductible equal to 1% of your home’s value, which will save you even more. Sure, if your home is worth $250,000, having to shell out the first $2,500 sounds like a big deal. But if you do the math, you’ll find the savings quickly offset the deductible, after which time it’s like putting money in the bank. 3. Add more safety features – Another way to reduce the cost without reducing your coverage is to invest in added safety features in your home. Do you have a monitored security system? How about hard-wired smoke detectors and carbon monoxide detectors? These can protect your family while reducing your insurance bill. Even physical improvements, such as adding hurricane shutters or impact-resistant windows can reduce the cost to insure your home. If your house is more than 20-years old, upgrading the electrical system can also represent an insurance saving. 4. Kick the habit – If you’re a smoker, not only do you pay higher premiums for your health insurance, you also pay higher rates on your homeowner’s policy as well. Insurers recognize homeowner’s who smoke are more likely to have their house go up in smoke. Therefore, they charge higher premiums for smokers, than non-smokers. Kicking the habit is another way to reduce your premiums. 5. Bundle your policies – If the company that insures your home also insures cars, or sells life insurance, switching all your policies over to one carrier can also represent a significant saving. 6. Go paperless – Save some trees and a few dollars per month by opting for paperless billing. 7. Are you 55 or older? – If you’re in your golden years, you might be able to save some gold, since a number of insurance companies offer discounts to seniors. 8. How’s your credit rating? – Another factor used to determine insurance rates are credit ratings. The higher your credit score, the lower your premiums will be. When many homeowners decide how much coverage to take out on their home, they make the mistake of choosing a number that represents what they paid for the home, as opposed to how much it will cost to rebuild in the event of a disaster. It doesn’t matter that you paid $350,000 for your home if your insurer determines that it only costs $250,000 to rebuild. Remember, part of the price you paid for your home is the value of the land upon which it sits. Including this in your coverage estimate means you will pay a higher premium than necessary. Review the limits for personal possessions and reduce them where possible. If your wife no longer owns that $10,000 sable jacket, or you traded in your Rolex for an iWatch, make sure you bring these facts up with your agent. Termed floaters in the industry, this additional coverage insures high-end items not normally covered under your homeowner’s policy. If that van Gogh has gone, make sure you tell your agent to adjust your policy if you want to save. 1. I don’t live in a flood zone – Just because your home isn’t in a designated flood zone doesn’t mean it can get flooded. 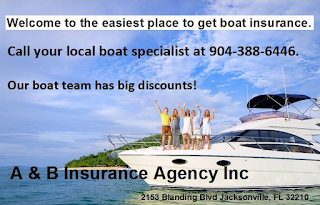 Especially in Florida, where hurricanes are a possibility in any given year and thunderstorms are an almost daily occurrence in the summer, having flood insurance is a good idea. 2. Consider adding Hurricane Coverage – If you want to avoid paying a hurricane deductible equal to 1-2% of your home’s value in the event it is damaged during a hurricane, you should look at adding hurricane coverage. 3. Do you SOHO? – If you run a small business from your home, you need to tell your agent about this if you want to cover your business equipment. Many homeowner’s policies limit the coverage of business equipment to only $2,500. They also don’t include business liability coverage. When it comes to saving on your homeowner’s policy, the two most important factors is saving your house comes first, saving a few bucks comes second. Talk to your agent to determine the best ways to accomplish both these goals. Diane Tait owns and operates A&B Insurance. 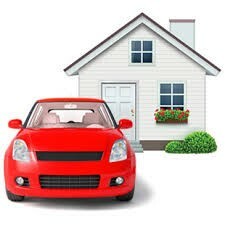 To find out more about how you can save money on your homeowner's insurance policy, go to her site or fill out the form at right. Everybody should have their homeowner's policy reviewed every year to see if they can save money or if they need to add extra coverage. Your home is too big of an investment to ignore. 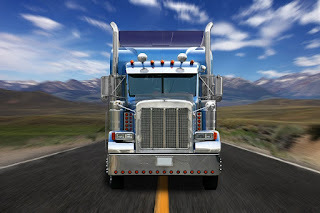 While every trucker knows that over the commercial truck insurance is expensive, they also realize it’s a necessary part of doing business as a trucker.That being said, all trucking insurance policies are not created equal.As you know, hauling cargo long distance is a risky business.Aside from the risk of damage to the truck, there are also other factors that come into play, including damage or loss to the cargo, not to mention theft of the cargo or truck itself.Commercial truck insurance is designed to help truck owners mitigate the risks to themselves and their drivers.If you are an owner operator this doubles the potential for liability in the event of a crash or theft.